I was privileged to be part of the recent 33rd African Union for Housing Finance conference at Kampala Serena hotel. Under the theme: Engaging the housing value chain for growth, it brought together key players in Africa’s housing and housing finance industry and its major aim was to chart a way for the betterment of housing across the continent. Two solutions emerged when it comes to dealing with the boom in the population in Kampala; put simply, they are up and out. I have personally traversed the East African region and I wish to offer an expert take on how to deal with Kampala’s staggering urbanization rate. Firstly, Kampala has an estimated urbanization rate of five per cent per annum and, according to the Uganda Bureau of Statistics (Ubos), the city has potential to host 10 million people by 2050. So, there is an urgent need to find affordable and efficient housing solutions today. One role of design is to ensure that it is done in the context of the bigger picture. In other words, everyone should be able to fit into that design and successfully go about living their lives. Unfortunately, a lot of land in Kampala has been built on haphazardly, with many urban dwellers thinking on a micro level about how they would like their homes to look like, instead of what the community should look like. Therefore, we need to streamline our ideas towards a new transparent, democratic and sustainable model of urbanisation. A city masterplan should be an indispensable tool in guiding decisions and implementation. It addresses the various challenges of unremitting urban growth. In Rwanda, for example, the Kigali masterplan provides a blueprint for structured development of both infrastructure services and the built environment, ensuring a balanced sector growth with a focus on developing sustainable housing structures for the growing urban population of the city. 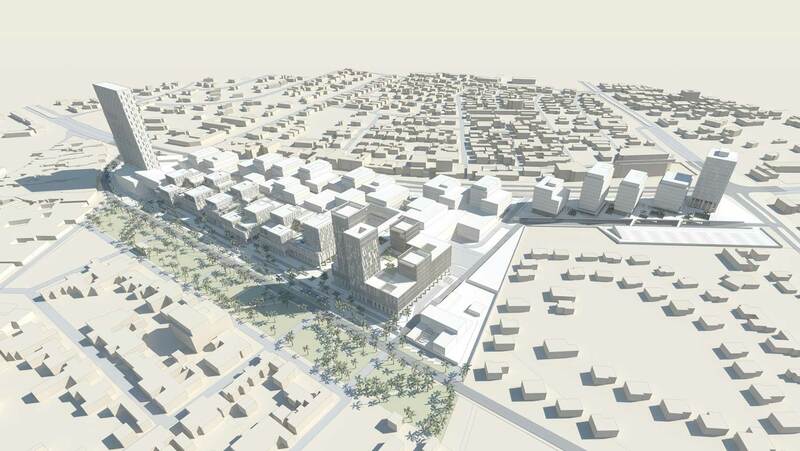 Private investments, with participants from across Africa, are targeting economically viable spaces offering retail, business, leisure, community parks and sustainable housing to reinvent the city. There is the need to step out of the core areas in Kampala and begin to look at the outskirts and make them our habitats. In Tanzania, we know this has taken full effect by the decision to decentralize and reinvest in cities like Dodoma as administrative capitals to alleviate the infrastructural pressures on Dar es Salaam. This is something we are already seeing in the Wakiso suburbs of Kira, Najjeera and Kulambiro, among others. However, there is need for a planned approach to avoid replicating what we see in Kampala today. We can reimagine our cities by inviting open competitive proposals for ‘innovative urban environments’ as recently undertaken by several international cities facing similar issues as Kampala. This approach provides necessary collaborations and democratic engagements with the urban residents, reconstructing the city for current and future aspirations. With the ever-increasing value of land, it is inevitable that we consider the possible necessity and feasibility of building upwards. Condominiums is when floors of a storied building can be separately owned by different people/families just like plots of land. Lessons exist from human scalable cities and historic neighbourhoods which have been reimagined to accommodate the shifting demands of daily modern living, the interaction of technological innovation and ever-changing cultural norms, in line with ecologically sustainable building solutions. The problem of our housing deficit is solvable, as long as we take action and do so with a lot of conviction and a shared interest in the future of our cities and their inhabitants. On that note, the government and key stakeholders need to set up or encourage construction of large-scale dwelling units for the ordinary people. It is on those two foundations that a sustainable housing infrastructure can be realized in Kampala. The author is Rwanda country manager, FBW Group of Architects and Engineers.